Quick, easy and crowd-pleasing is this very simple chicken recipe. I made it with chicken breast strips and pantry staples I had on hand. 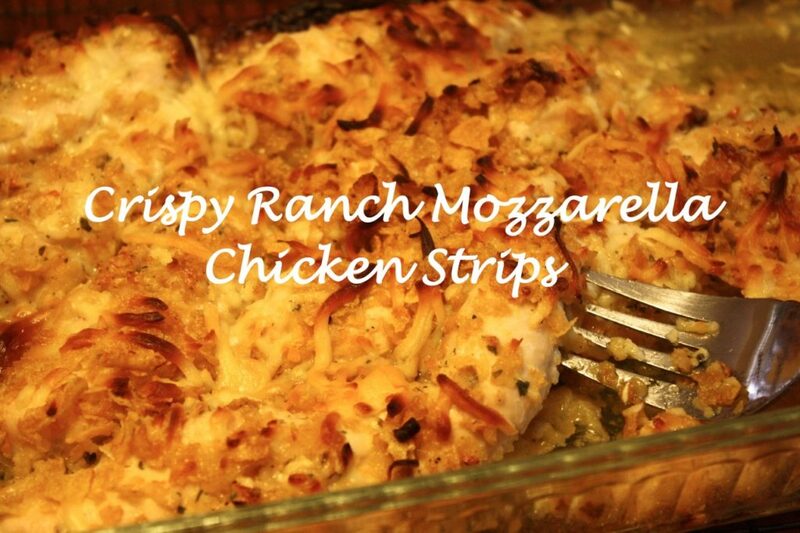 My daughter found the chicken recipe on Pinterest and we adapted it for our family, doubling the amounts and using mozzarella cheese. Make it especially frugal by snagging chicken on sale! 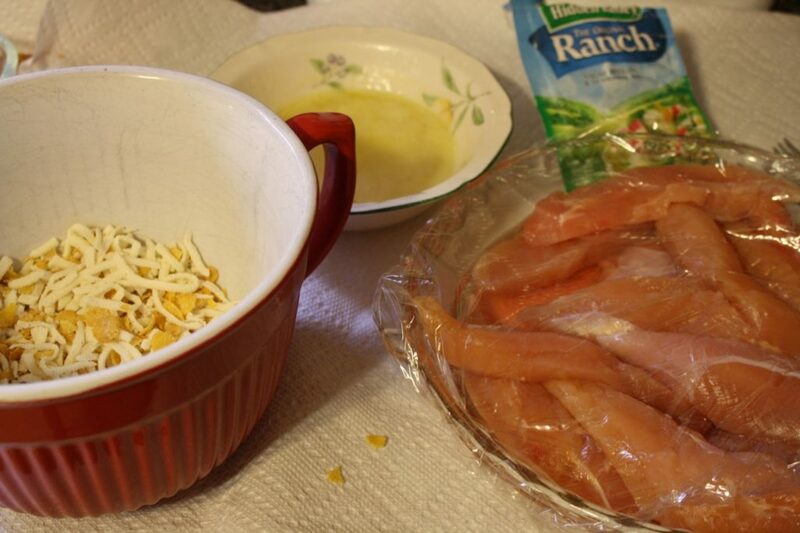 Crush Corn Flakes and mix with Ranch dressing packet and cheese. Dip chicken in butter then roll in Corn Flake mixture. Place in greased 9×13 baking pan. Bake at 350 F for approximately 45 minutes.